Item available soon The item is currently being restocked in our warehouse, please subscribe to our availability alert to be notified of its availability. Syntax error in your email address. Free from £44.17 Valid to destination of United Kingdom. In order to ajust this information to the country in which you want to be delivered, you have the possibility to modify the delivery country through the menu on top right. Free from £179.38 Valid to destination of United Kingdom. 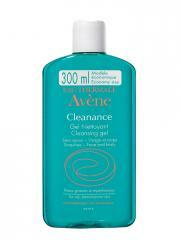 Avène Cleanance Soapless Gel Cleanser 300ml gently cleanses without attacking or damaging skin. It eliminates the excess of sebum and purifiates the epidermis while respecting its physiological pH. - Cleansing, thanks to its soft washing base. - Seboregulating, with vegetal origin extract of Cucurbita Pepo, which contributes to reduce the excess of sebum. - Soothing, anti-irritative : Naturally soothing, Avene Thermal Water allows an anti-irritating effect associated to Zinc Gluconate. Lather on damp face or back, morning and evening, then rinse. Indication: Hygiene care for young problem sensitive skins, can be used on face and back. 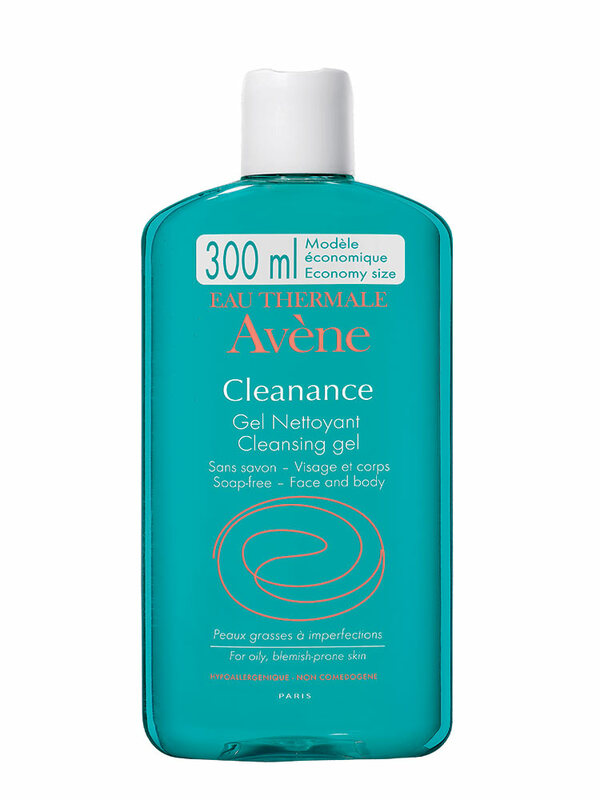 Avene Thermal Spring Water (Avene Aqua), Aqua, Sodium Lauroyl Methyl Isethionate, Zinc Coceth Sulfate, Polysorbate 20, Sodium Coco-Amphoacetate, Ceteareth-60 Myristyl Glycol, PEG-40 Hydrogenated Castor Oil, Citric Acid, Disodium EDTA, Parfum (Fragrance), Glyceryl Laurate, Green 5 (CI 61570), Sodium Benzoate, Sodium Hydroxide, Yellow 5 (CI 19140), Zinc Gluconate. Active Ingredients: Eau thermale Avène 56%, Base lavante douce, Extrait concentré de Cucurbita pepo, Gluconate de zinc, CTAB. These reviews have been left by customers who purchased the product on Cocooncenter. only can recommend. hope 400ml sizes will be restocked soon.